I just uploaded another video in my crochet tutorial series. 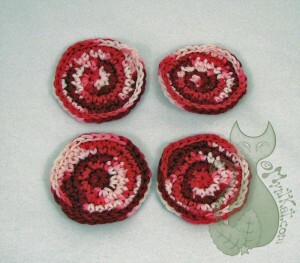 This week I am showing you how to crochet in the round and how to make quick and easy washable cosmetic pads! Click on the image to be linked to the video. Hope you enjoy it and learn something new!